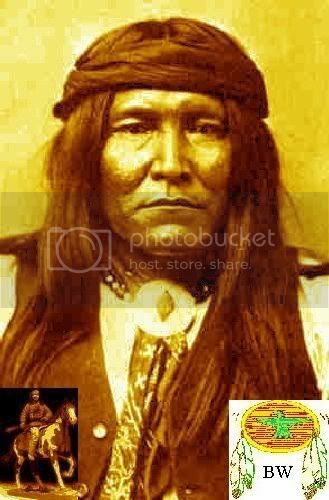 From the Apache meaning “Hardwood,” Cochise was the son of a Chiricahua Apache chief; he in turn became leader of the band following the death of his father. He married a daughter of Magnas Coloradas, the celebrated chief of the Mimbreño Apache. 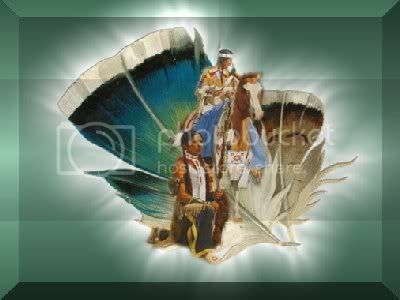 The Apaches lived in southern Arizona and western New Mexico, where they had been brutally victimized by Spanish and Mexican scalp hunters and slave traders. Although the enmity between the peoples was intense, the Chiricahua were initially friendly toward the newly arrived Americans in the 1850s. Feeling that they could obtain a certain degree of help from the well-armed Whites, Cochise met with Major Enoch Steen in 1856, and agreed to permit Americans to pass through his country en route to California. Shortly afterwards, some of the Apaches worked regularly for a stagecoach station at Apache Pass, cutting firewood and exchanging it for supplies. This harmonious situation was upset by stupidity. In 1861 Cochise was summoned to see Lieutenant George N. Bascom at Apache Pass. When he arrived, under a flag of truce, with five other Chiricahua warriors, he was accused of having kidnapped the child of some White settlers. He denied any guilt: the child in fact had been abducted by another band. Refusing to believe him, Bascom arrested the Native Americans; in the melee, Cochise was badly wounded. He managed to escape from confinement by cutting through the side of the tent with his knife. Some days later he captured three White settlers whom he offered to exchange for his companions. Bascom stubbornly refused and demanded the return of the kidnapped child unharmed. Furious that Bascom would not believe him, Cochise killed his prisoners; whereupon, the Lieutenant hanged the Chiricahua warriors in retaliation. With his savage action, the long and bitter hatred for Mexicans was broadened to include Americans. Cochise and his father-in-law joined forces to destroy the White settlers and drive them from Apache lands.